Mental illness and mental health concerns do not discriminate. Unfortunately, people do. 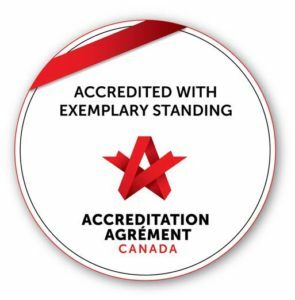 At the Canadian Mental Health Association, Haliburton, Kawartha, Pine Ridge (CMHA HKPR), our vision is mentally healthy people thriving in an inclusive society free from stigma. We offer a variety of programs and services throughout our coverage area to help improve mental health recovery and quality of life for everyone. Everyone. Recently, a letter to the editor was shared in a local publication questioning the morality of those in the LGBTQ+ community. Today, we proudly exclaim our commitment to supporting individuals who identify as part of this community, as well as their loved ones. Today, we stand firmly against discrimination as well as the publication of views that encourage hateful or exclusionist notions. While some may say the publication of such views fall within Freedom of Expression or Freedom of the Press (Charter of Rights and Freedoms), others may accurately note that the Charter itself clarifies these freedoms are only guaranteed to “such reasonable limits prescribed by law as can be demonstrably justified”. Furthermore, the media is under no obligation to publish anything. This was a choice of an editor and although we may be unlikely to convince the editor that he made the wrong choice, we hope he will reflect on the decision and weigh the consequences of isolating an entire community for the sake of clicks to the corporation’s website. By law (Canadian Human Rights Act), members of the LGBTQ+ community in Canada are entitled to “an opportunity equal with other individuals to make for themselves the lives that they are able and wish to have and to have their needs accommodated, consistent with their duties and obligations as members of society, without being hindered in or prevented from doing so by discriminatory practices”. Not only do we comply with this legislation, we enthusiastically support it. At CMHA HKPR, we do not discriminate. In fact, we know social isolation is known to have a negative impact on our mental health and gladly offer programming specific to those who may be at risk. 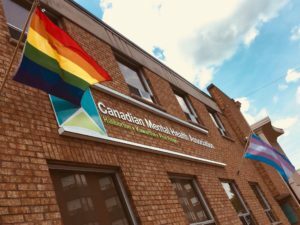 Gender Journeys, a CMHA HKPR program and recipient of a Grow Grant through the Ontario Trillium Foundation earlier this year, provides programming, education, and support services for transgender, 2-spirit, gender diverse and individuals who are questioning their gender identity. Services are also offered for families, partners and loved ones. Transgender and gender-diverse individuals may experience significant social isolation because of a variety of complex factors including but not limited to stigma and discrimination. Individuals experiencing social isolation are at a high risk for depression, anxiety, suicidal ideation, and other persistent mental illnesses. If anyone is interested in learning more about Gender Journeys and the work of CMHA HKPR, please don’t hesitate to contact us. For organizations interested in developing awareness and sensitivity skills, we are pleased to offer workshops and education for allies. It is our responsibility as a mental health organization, and as advocates for inclusion and the well-being of those in our region, to do what we can to reduce this isolation and increase connection. We are grateful for the opportunity and we hope, through your thoughts, statements and actions, you will help.